Mah Sing group's (Mah Sing) Arts and Lights in Icon City officially open to public for viewing on 19th November 2017. Arts and Lights will be new inspiration to Instagrammer and photographer in Malaysia. Arts and Lights will be open to the public every Saturday and Sunday from 19th November to 24 December 2017 from 12pm to 9pm. admission is completely free but visitors need to reserve their tickets at http://www.artsandlights.com.my/ . Mah Sing's Group Managing Director Tan Sri Dato' Sri Leong Hoy Kum shared " Over 30,000 sq ft of space in Icon City has been turned into creative installations, interactive props and colorful rooms with captivating immersive environments. 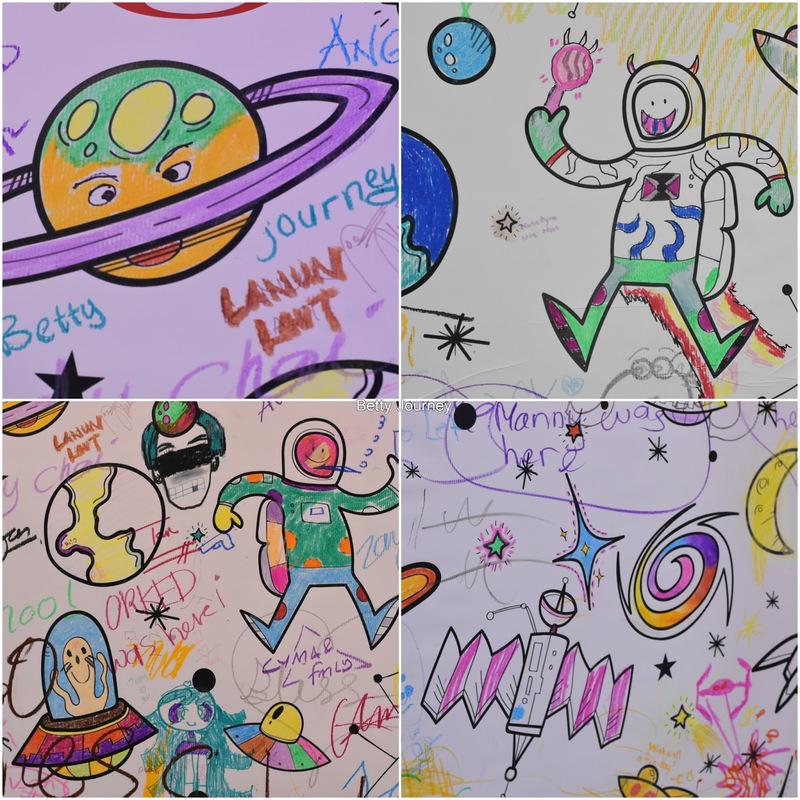 Some of our installations such as the Vista Interactive Space wall, where you can actually scan your drawing into an interactive large-scale space display is the first of its kind in Malaysia and will be of huge interest for children and parents. Adding from his speech, " The 12 distinctive art and technology installations in Icon City's Central Park, Tower 3 and Tower 5 have unique themes targeted to creatively engage audiences and manufacture new experiences especially for the millennials. The Installations are designed to be Instagram and photo friendly and we encourage visitors to immerse themselves into the installations when taking photos. Make sure to reserve your tickets as we are expecting a good response from Malaysian." Just follow the foot step that lead you to each station in Tower 3 & Tower 5. Enjoy every art works that frame up at both Tower. Mah Sing's Senior General Manager of Group Strategy and Operations, Racheal Leong shared " Arts and Lights is inspired by the consistently sold-out ' made for Instagram' Museum of Ice Cream, New York and Colour Factory, San Francisco. We wanted to bring this experience to Malaysia and inspire visitors to appreciate art in a social media empowered world. Hence, we come up with Arts and Lights event that offers a one of a kind experiential journey that rejuvenates the interest for arts and learning for youths as well as parents. We also made the event completely free for admission as we believe arts, technology and learning should be made accessible to public from all economic backgrounds." Arts and Lights collaboration with some sponsors such as Digi Telecommunications, Zalora Malaysia GRAB, FAVE and Fujifilm. Arts and light has 12 installations which include Vista Interactive Space Wall, Planet Vertica, Galaxy of Centura, D'sara Music and Lights, Southville Space Party, Dimension Room, Flying Over Meridien East, Anti-Gravity, Lakeville Rolling Coments, Aruna in the Sky, Moons of Meridin and Digi Wishing Tree. After the inaugural event for Arts and Lights in Icon City, Petaling Jaya, the exhibition will travel to different sales galleries of Mah Sing in Kuala Lumpur, Johor and Penang. Tan Sri Dato' Sri Leong Joy Kum mention, "We want to invite Malaysians to hop on this exciting journey of experiencing Arts and Lights. We will be taking the exhibition to our different sales galleries across the country over the next 8 months." 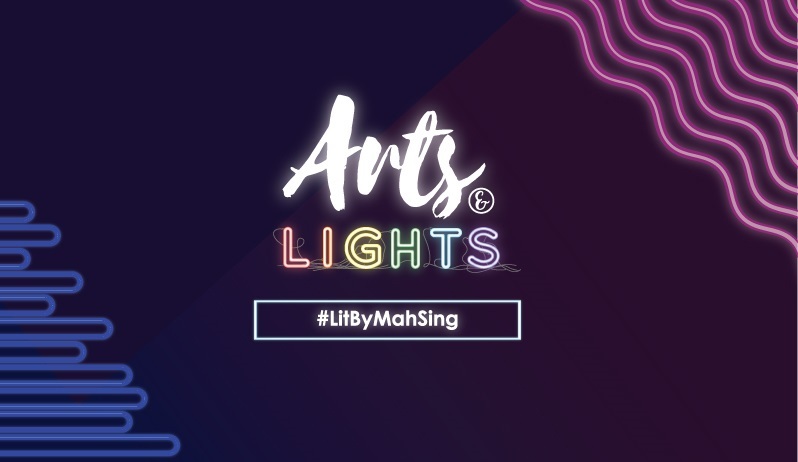 Mah Sing's Icon City is the perfect location to host the first Arts and Lights Exhibition for its strategic location in Petaling Jaya makes it easily accessible for visitors. The venue itself also has ample space to be transformed into a dreamy world of art installations. The concept is also in line with Mah Sing's tagline 'Reinvent Spaces. Enhance Life' as Mah Sing has transformed Icon City into Malaysia's first pop-up arts and technology exhibition for visitors to explore and enjoy.